If you have already made up your mind that you’d like to become a Mason, then follow the instructions below. If you’re still trying to decide, have a look around our website to learn about our tremendous fraternity or contact us. Download this application! This is a simple document containing the official petition for the degrees of Masonry in Texas and if you do not have a printer, come by the lodge and we can give you a copy. Place the date at the very top and then write WACO Lodge No. 92 on the next space. Fill out every answer starting with your full name on #1 and continuing through to #33 in which you will agree not to apply to appendant bodies in Masonry until you have proven your proficiency as a Master Mason at our lodge. Then, sign your name and provide your Driver’s License Number so that we can perform a background check to verify your status as a man of upright conduct in society. This part is important. After the Driver’s License Number, the petition has a space for two Masons to recommend you. Those two men MUST be members of Waco 92 in order for you to apply for membership at our lodge and they must have known you for at least three months prior to signing the petition. If you do not already know any of our members who can recommend you, then you need to start visiting the lodge on Thursday evenings so we can get to know you. Finally, page four requires three references who can be Master Masons in good standing of any masonic lodge within the jurisdiction of Texas or recognized by the Grand Lodge of Texas. These are often fathers, actual brothers, uncles, friends, coworkers, etc. You’re done! The rest of the petition is for our use. You can now bring the petition by the lodge any Thursday evening and turn it in with a copy of your birth certificate. 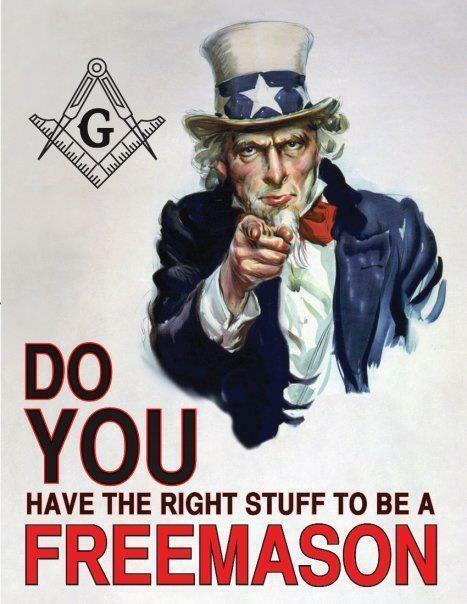 After you have turned in your petition with a copy of your birth certificate, it will be read aloud to the Brother Masons at our next monthly stated meeting. Then, an investigation committee will be assigned consisting of three trusted Brother Masons. Each of these men will contact you to make an appointment so they can interview you personally at separate times either at your home or at an agreed upon location. While this is done so we can make sure you’re a good fit for our lodge, it also serves as a great time for anyone in your family to ask the investigators any questions they want answered about the fraternity you are hoping to enter. Then, the three investigators will report back to the lodge at the next monthly stated meeting and a ballot will be held which determines whether or not you are duly and constitutionally elected to receive the degrees in Masonry. Good luck!